If your kids are fans of the Twister game, then this Hello Kitty edition will be a major, MAJOR hit! Especially if you’re hosting a sleepover — the game rolls up and can be easily carried, or put away for next time! 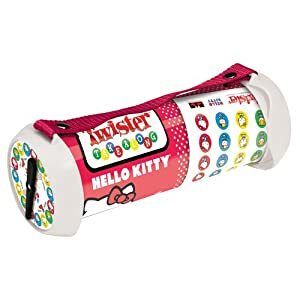 If you own Hello Kitty Twister take along, please rate it by clicking on the Comments link below the eBay listings.